For many schools across the country, today marks the first day of a new year. In addition to thinking about tools that help boost educators' teaching practice, this moment might be a good time to pull back and think about some big-picture ideals, too. Here are a few to consider. Nine Tenets of Passion-Based Learning. Educators who focus on integrating kids' own interests and passions into the curriculum will see them flourish as learners. Educators can think about integrating such practices as showing relevance of what students are studying to life outside school, connecting with parents, and using digital media as a way to spark interests and spreading ideas. Jumping Into the 21st Century. For both veteran educators and newbies, the temptation to stick to what's acceptable and what's been done is hard to overcome. Educator Shelley Wright talks about how she took the plunge and redesigned the entire structure of her teaching practice. Her goal? "Changing to a student-centered, skill-based, technology embedded classroom," she says. The Flip: Why I love It, How I Use It. Educator Shelley Wright shares why she's decided to flip her classroom. "I don’t believe in assigning videos every night as a substitute for my own lecturing. To me, that’s simply the traditional classroom rearranged, not flipped. I use the flip when my students need to absorb a few chunks of new information to continue learning. I don’t use it to front-load information at the beginning of a unit. I think that can rob students of the experience of authentically building knowledge and skills as they encounter new concepts. I use flip time to create curiosity in my students." 4. TAP INTO STUDENTS' IDEAS. 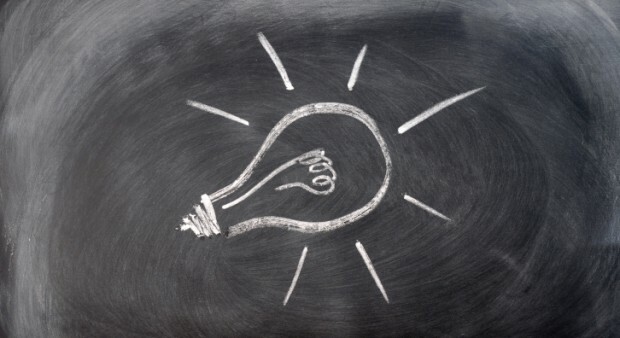 How to Turn Your Classroom Into an Idea Factory. Design thinking isn't just for engineers and designers. It can be applied to every aspect of learning -- from generating ideas to the iteration and execution phase. Here's how educators can foster innovation in the classroom. The School Day of the Future is Designed. "It’s not too big of a leap to want the school day designed around notions of how we naturally, and individually, learn," writes Sandy Speicher of IDEO. "Designing the day around discovery of information, connections to real world challenges, discussions digging into our experiences with the world. Here are some examples of how futuristic scenarios are actually happening now."